Christine’s first contact with the Asian martial arts was at a judo class in the 1970’s. In the early 1980’s she began exploring body-oriented self-awareness using a series of traditional and modern methods, including autogenic training, qigong, Feldenkrais, Alexander technique, kinesiology, TaKeTiNa and many more. It became a quest of more than three decades and lead to certifications as a shiatsu practitioner and as a Hakomi therapist, among others. By the early 1990’s she had however finally found “her” movement and martial art in taiji. What had begun as a proven method for improving health, self-defense and stress reduction gradually became a holistic path for internal development. Christine has studied under Patrick Kelly for more than 20 years and belongs to his network of senior instructors. 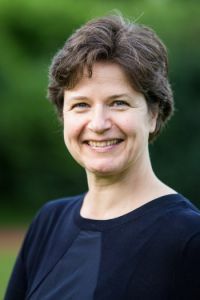 She has lead the taiji-schule since 2011 and teaches outside of Austria regularly in Germany and Hungary, as well as (sporadically) in other countries. 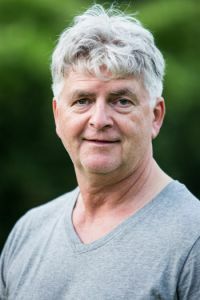 Peter started training taiji in 1986 with Wang Dongfeng and at the Shambhala Vienna (till 1995), and during this time attended seminars with Wilhelm Mertens and many other taiji and qigong teachers both locally and abroad. He completed a qigong certification offered through an association of the Austrian Qigong Society and the Shambhala Vienna. Like Christine, Peter has been studying under Patrick Kelly since 1994. Since 1997 he has been teaching at the VHS-Eisenstadt, occasionally in Wiener Neustadt. In the taiji-schule Peter leads beginners’ classes and the Monday evening advanced class in rotation with Chaitanya and Christine. As an experienced practitioner and teacher of the art of Taiji, Chaitanya can look back on a career of more than 35 years. Since 1999 he has been a student of Patrick Kelly and one of Christine's closest training-partners. In addition his training in energy work under Michael Barnett, his many years of zen practice, and his engagement with Tibetan Buddhism count among his most important and influential experiences. 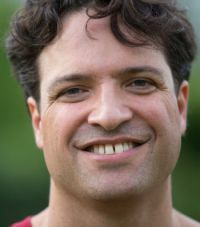 Chaitanya has taught taiji at the Shambhala Vienna since 1994, as well as regularly in Schleswig-Holstein and on Crete. In the taiji-schule he leads beginners’ classes and the advanced class Monday evening in rotation with Peter and Christine. When Brett joined the Northwestern University Aikido Club in Evanston, Illinois (USA) in 1991, he started what would become a decades-long preoccupation with the eastern martial arts. In the following years Brett would continue practicing Aikido in various U.S. cities and ultimately in Vienna, Austria, where he moved in 1998. In Europe he developed a strong interest in the internal aspects of the art after discovering the teachings of Endo Seishiro Shihan and his student Jan Nevelius. Nevelius Sensei had experimented with the integration of Taiji principles into his Aikido, and in sharing his insights inspired Brett to explore Taiji more deeply. In 2005 Brett started training at the Shambhala Vienna under Chaitanya Franz Pölzl and Madrina Rössler, soon encountered Patrick Kelly and Christine Schneider, and began studying under Christine's guidance when she founded the taiji-schule in 2011. Brett continues his practice at the taiji-schule and travels regularly to Aikido and Taiji seminars abroad. He teaches the Monday and Thursday beginners' class in rotation with Christine, Chaitanya and Peter. 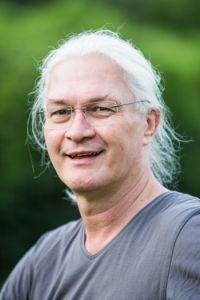 Heribert began his taiji training in Freiburg in 1991. To him taiji is primarily an “inner path”, a way of supporting a person’s spiritual development. In 1995 he began to study under Patrick Kelly, is now one of his senior instructors and teaches regularly at Patrick's school in Zurich. Since 2013 Heribert has, together with Christine, lead the annual summer intensive week in Pregarten, Upper Austria.